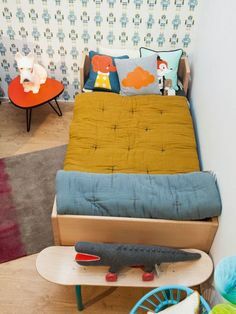 We decided to take a little step away from the super trendy toddler rooms and we had a bit of nostalgic fun by creating a quirky, retro gaming inspired room for boys. 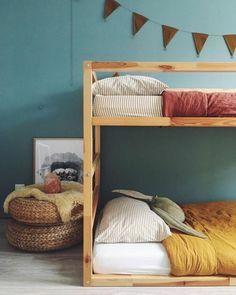 We wanted recreate some memories from our own childhood in a very simplistic design. 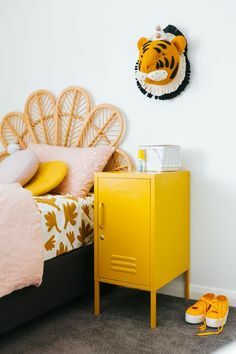 We used some vintage furniture pieces that was sent through from Re-Trend and mixed it up with more modern decor pieces and versions of our favourite tv-games as well as a A-frame play tent by Little Slumber. We asked little Max to test the room out to see if he’ll enjoy it as much as us. We hit the nail on the head, it took some convincing to get him of the set. If you want your brand or product featured on one of our photo shoots, please send us an email at thecollaborativesa@gmail.com. Mine was Mario Brothers for sure! !